Horizon Insurance Service LLC is an Independent Insurance Agency representing many different companies for your insurance needs. We carefully selected our carriers in order to provide you with the best level of service, price and coverage. As independent insurance agents, you have the ability to choose the best carrier for your insurance needs. That is the main advantage to using an independent insurance agency, we work to satisfy your needs. 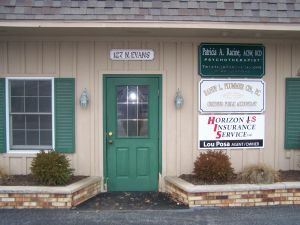 Our goal is to educate and service the Tecumseh, Michigan community and throughout the state of Michigan. Through our independence, we strive to educate the community on the best options for their insurance needs. We can provide an assessment of your insurance needs with a choice of which package fits you best. We want you to have a positive overall experience with Horizon Insurance Service LLC. Our one on one service approach is our #1 goal for all our insurance clients. Give us a call at 517-423-2020 or contact us through one of our quote forms, and we'll be happy to answer any of your insurance questions. Lou Posa has over 23 years of experience in the Insurance and Financial Services industry. His career was established and is still based upon his desire to help others and achieve their goals, by building trusting relationships. Lou is married with five children and four grandchildren. He has lived in the Tecumseh-Clinton area for over 30 years, being active in his community and local church. He is excited about operating his independent agency in the community that he lives. Lou and his wife Linda are thankful that they also have had the opportunity to be foster parents for several years. Linda is a licensed Customer Service Representative. She has over five years of experience in the insurance industry. Linda enjoys helping people, and is an integral part of our team. Linda is actively involved with her local church and loves spending time with her children and grandchildren. She is the wife of Lou Posa.